Our members - Benvenuti su mosaicovalnestore! In this section you can find our members, a brief description of their activities and their references (website or FB page, if available). Within each area the members are listed based on the date of their membership. The list is constantly updated. Do you like to become a member and add your activity to this list ? 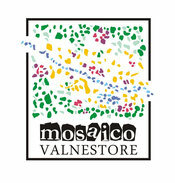 Just send an email to welcome@mosaicovalnestore.it describing your activity and the reason why you like to become a member.